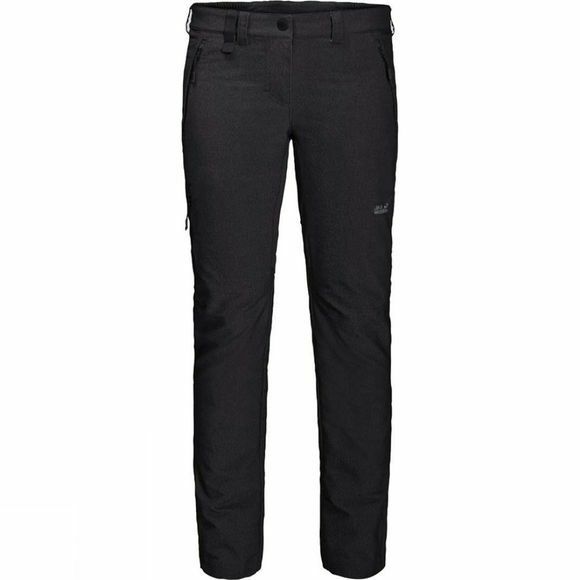 With the Womens Activate Sky Trousers from Jack Wolfskin you get functionality and style in one pair of trousers. The fabric is nice and light, wind- and water-resistant and highly breathable. So the wear comfort is superb. Jack Wolfskin have also included high-stretch inserts at key areas of the trousers to ensure full mobility on demanding mountain trails. Jack Wolfskin is among the leading providers of functional outdoor apparel, footwear and equipment in Europe. The fundamental idea behind all Jack Wolfskin products is to combine the best possible functionality with great comfort. Since 1981 we have been inspiring people to seek adventure, to enjoy the freedom of the outdoors and to explore the natural world. We are outdoor pioneers of the first order and we make outdoor products you can rely on.